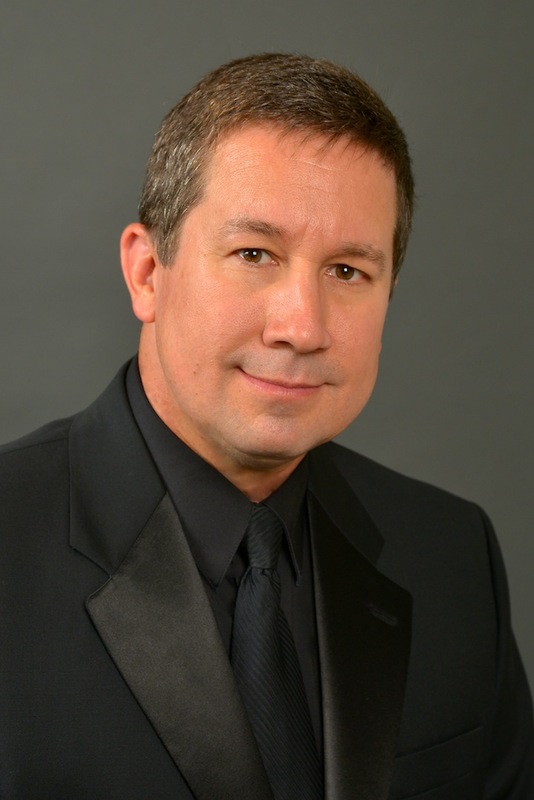 Scott Boerma is the Director of Bands and Professor of Music at Western Michigan University, where he conducts the University Wind Symphony and Western Winds. Prior to this appointment, he was the Associate Director of Bands, Director of the Michigan Marching Band, and the Donald R. Shepherd Associate Professor of Conducting at the University of Michigan. Before those positions, Boerma was the Director of Bands at Eastern Michigan University, and he began his career teaching music in the Michigan public schools at Novi and Lamphere High Schools. Boerma earned his Doctor of Musical Arts degree in wind conducting at Michigan State University and his Master of Music degree in music education at the University of Michigan, where he also studied composition with Pulitzer-Prize winning composer William Bolcom. He received his Bachelor of Music degree in music education at Western Michigan University, where he also studied composition with Ramon Zupko. Boerma has also studied composition with Anthony Iannaccone at Eastern Michigan University. Boerma is active as a band/orchestra conductor, adjudicator, and clinician. He serves as a guest conductor for several honor bands and community bands throughout the nation each year, including the Music For All Summer Symposium Concert Band, the Michigan All-State High School and Middle School Bands, the Florida State University Tri-State Band, the Michigan Youth Arts Festival State High School Honor Band., the Kappa Kappa Psi/Tau Beta Sigma Intercollegiate Band, and the University of Wisconsin Summer Music Clinic Honor Band, to name just a few. Boerma has given composing, arranging, adjudication, and educational clinics at the Michigan Music Conference in Ann Arbor and Grand Rapids, Michigan, the CBDNA North Central Division Conference in Omaha, Nebraska, and the BOA Summer Symposium in Normal, Illinois. He often conducts the Detroit Chamber Winds Brass holiday concerts, and he served for several years as conductor of one of the Blue Lake Fine Arts Camp High School Bands in Twin Lake, Michigan. An active composer, Boerma’s concert band works have been performed by many outstanding ensembles, including “The President’s Own” Marine Band, the Dallas Wind Symphony, the University of North Texas Wind Symphony, the Tokyo Kosei Wind Orchestra, the University of Illinois Wind Symphony, the University of Michigan Symphony & Concert Bands, the Interlochen Arts Camp High School Symphonic Band, and the BOA Honor Band of America, to name just a few. His music has been heard in such venues as Carnegie Hall, Hill Auditorium, the Myerson Symphony Center, the Krannert Center for the Performing Arts, and at the Chicago Midwest International Band and Orchestra Clinic. Boerma’s works have been featured in the popular GIA series, “Teaching Music Through Performance in Band.” He is commissioned each year by high school, university and community bands to write new works for the repertoire. Also a prolific arranger, Boerma receives yearly commissions to write music for many university and high school marching bands and drum and bugle corps. From 1989-2006 and from 2014-2018 he was the music arranger for the acclaimed Madison Scouts Drum & Bugle Corps. From 2008-2013, he arranged for the Spirit of Atlanta Drum & Bugle Corps. Additionally, Boerma has arranged for drum and bugle corps and bands from Japan, United Kingdom, The Netherlands, and Thailand. Other credits include marching band arrangements for the University of Michigan, Michigan State University, the University of Texas (both Austin and Arlington), the University of Illinois, Purdue University, Towson University, Texas Tech University, Baylor University, Jacksonville State University, and Western Michigan University, to name just a few. Most of the Big Ten university marching bands have performed Boerma’s arrangements. Boerma has also written arrangements for the Boston Pops and the Detroit Chamber Winds Brass. Boerma is an elected member of the prestigious American Bandmasters Association. He has served as the president of the Mid-American Conference Band Directors Association, and he is the Michigan state chair for the College Band Directors National Association, for which he is also a member of its Constitution Task Force. He is a member of ABA, CBDNA, WASBE, the National Band Association, the American School Band Directors Association, ASCAP, Phi Mu Alpha Professional Music Fraternity, Pi Kappa Lambda National Music Honor Society, and an honorary member of Kappa Kappa Psi and Tau Beta Sigma Band Fraternities.